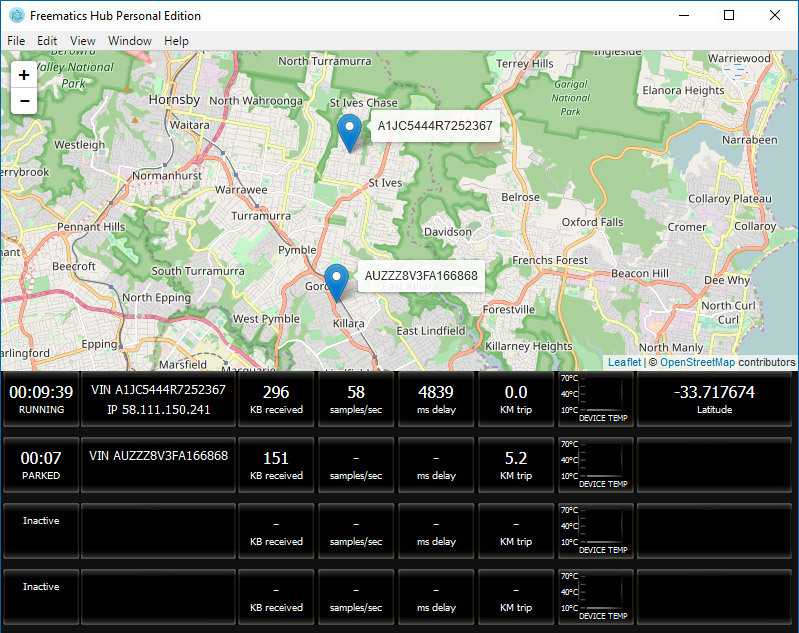 Freematics Hub is a cross-platform telematics server software which receives real-time data from multiple remote telematics devices like Freematics ONE+ and provide 3rd-party applications with simple REST APIs to access live and history data from all devices. Freematics Hub is highly efficient and low-demanding on system resources. It can be deployed on all types of computers, whether it’s a cloud server, desktop PC or SBC. No public cloud, all data in your hand! Freematics Hub implements a set of REST API for sending data to or receiving data from Freematics Hub. The GUI itself is completely built with the API. For more information, please refer to Freematics Hub API Reference. 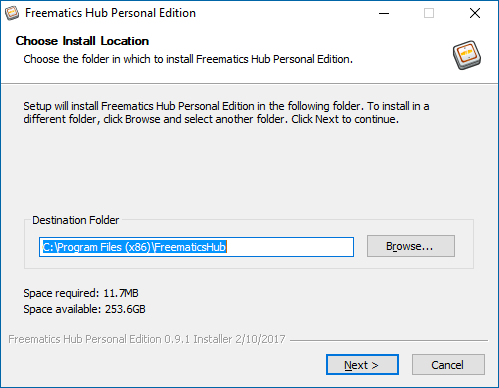 Freematics Hub can be downloaded as a software package and install on any computer with a supported OS (currently Windows and Linux releases provided). It has a simple GUI for quick testing and evaluation of Freematics hardware products. 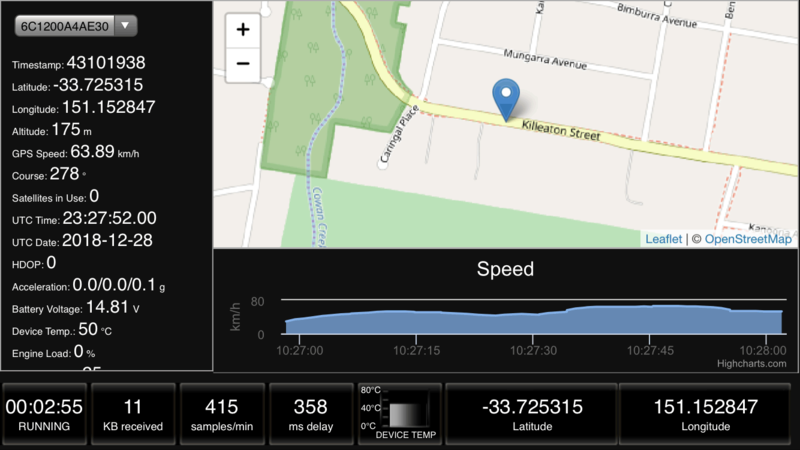 The GUI of Freematics Hub shows basic information of all telematics devices which are feeding data. More live data can be viewed by clicking on the device ID in the device list. 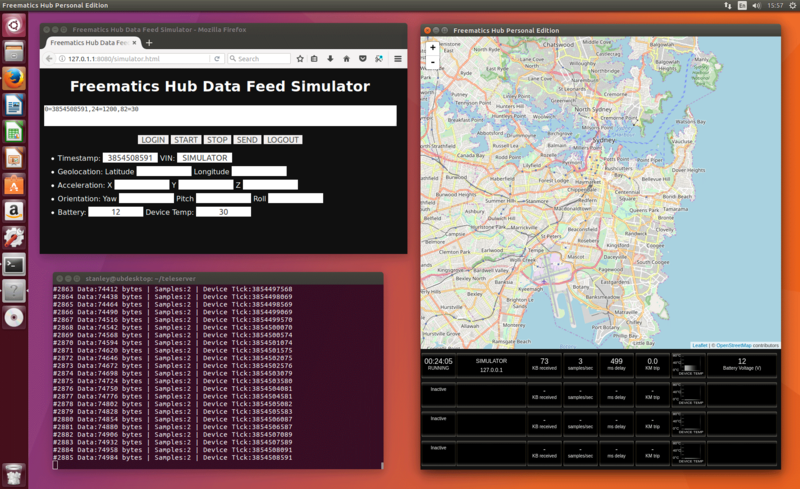 Freematics Hub stores all received data locally in separate files (by session/trip) in separate sub-directories (by vehicle ID). On Windows, the default data directory is %APPDATA%\FreematicsHub\Data. On Linux, the default data directory is Data in the executable directory. 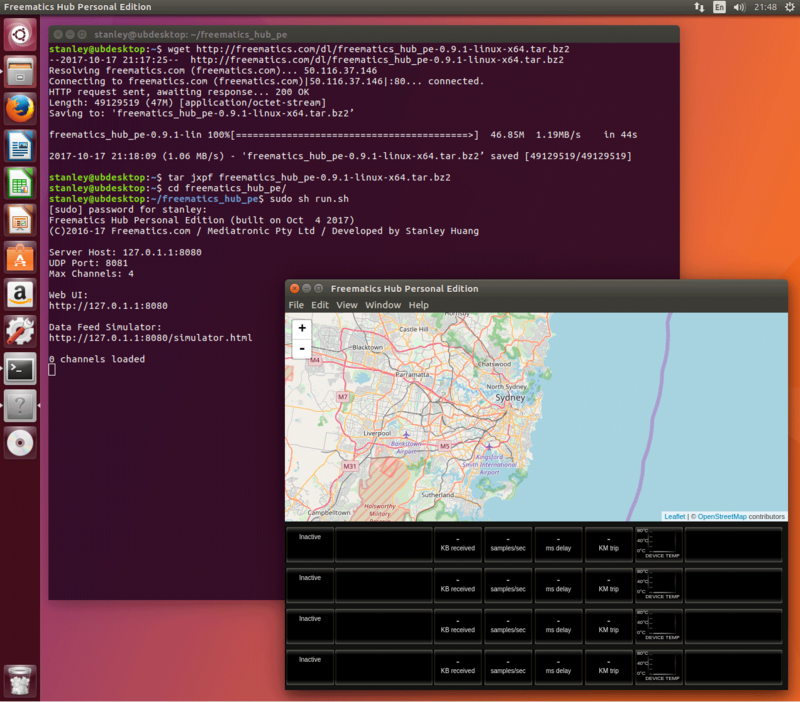 Freematics Hub can be launched from command line with arguments for configuration. On Windows, Freematics Hub can be installed by the installer which is very straight-forward. After installed, click on desktop icon to launch the server. On Linux, please build from source code and run the built binary to launch. Telelogger is the reference client implementation working with Freematics Hub, developed in form of Arduino sketches for Freematics ONE and Freematics ONE+ respectively. 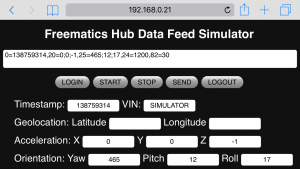 Freematics Hub is an open-source software developed by us. It’s free for use and redistribution under GPL license. We also provide following commercial services.